Graduated from the Studio of Glass at the Academy of Arts, Architecture and Design with Professor Vladimír Kopecký (1993 – 1999). During his studies, he went through a scholarship at the Academy of Fine Arts in Prague (Professor Milan Knížák – Intermedia School, 1997). Nízký professes the media of design, painting, sculpture and installation in space. In the field of design, he collaborated with the Moser brand on limited series and authorship unique items (from 1997 to 2006), also designing for the serial production of the company ZBS Concept from 2004. From 2005 he collaborates with the French-Italian Salviati on several design glass series. 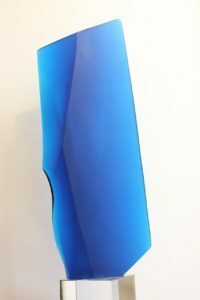 In 2003 Nízký established a studio focusing on glass design, which produced countless unique items and several limited glass series executed in the technologies of blowing, smelting and cutting. He realized the smelting glass sculpture for hotel Crystal Palace in Mariánské Lázně. In the framework of the Munich Craft Fair, he received the award “Talente” in the field of glass. Nízký exhibits from the Czech Republic and abroad since 1999. His works are part of both public and private collections all over the world.